Dig deep, Gold Coast! Local 9-year-old girl, Charli, needs our help to raise money so she can have her Pineal Cystic Tumour removed from her brain. My name is Charli Berghauser, I'm 9 yers old, and I have a 11mm x 9mm Pineal Cystic Tumour. It's right in the middle of my brain. In October 2017, I had the worst headache EVER. My mum knew something wasn't right. I had blood tests and a MRI done. That's when we found out I have an extra something in my brain. I'm quite good when it comes to pain, I can handle it cause I'm tough. Sometimes I can't and I tell my mum. But I don't like her to worry all the time. I have days off school when my head hurts too much, and when I'm having one of my moods. I have them a lot. I have head pain nearly every day, even Panadol doesn't make it go away. I've had my eyes checked because a lot of the time everything is blurry. They said my eyes are fine, but they can't see what I see. I get cranky a lot too. Sometimes it's because no one understands me and sometimes I don't even know until my mum has to calm me down. Since finding out about my Cystic Tumour, I haven't been allowed to do what I love. All the doctors said that I was "fine", BUT I'M NOT...They wouldn't let me play on a jumping castle or a trampoline or even let me play Rugby (which I have been playing since I was 5). Since finding out, my mum has done a lot of research and sent all my medical stuff to DR CHARLIE TEO. She said he is the BEST neurosurgeon in Australia and has operated on over 100 people with the same thing I have. 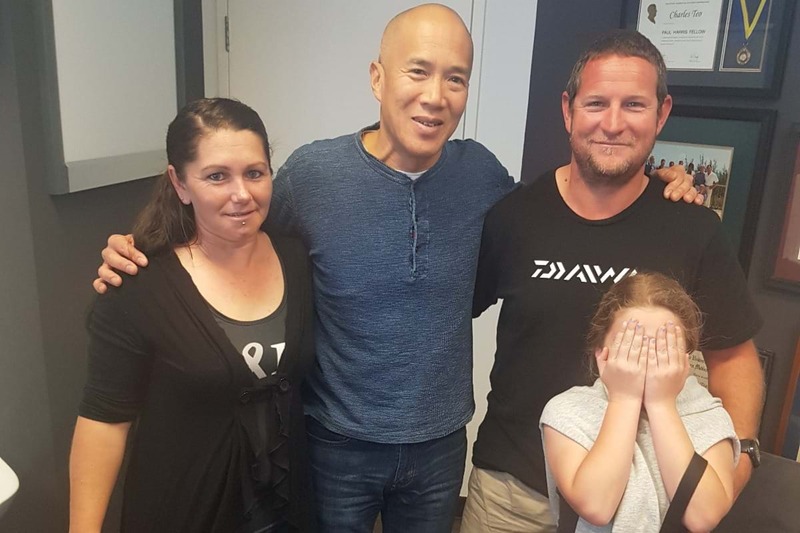 On the 23rd of August 2018, after 10 months, plenty of appointments and 4 MRI's, I got to meet DR TEO, and I was shy. I'm never shy, but he is famous. I didn't know how to felt. I couldn't even speak. DR TEO explained to mum, dad and me why I have these "symptoms". I have a Pineal Cystic Tumour it's very clear to see it is blocking the Cerebrospinal Fluid in my brain. This is why I get confused/cranky, have blurry vision, have lots of headaches and why I have weird sleep patterns. He wants to do surgery on my brain to take it out, I'm scared about it but I want it out because I don't want to get as bad as my mums cousin, Sarah - she has one too, she's really bad but she gets her surgery soon. The best part of my appointment with DR TEO, he said I can play footy after my surgery. He wants me to be a kid, but I know my limits, I know I still have to be careful. I get to play, I'm so excited. The not-so-good part is I really need this surgery and its going to cost a lot of money. My mum and dad are going to need a lot of help. It's going to cost $100,000. Can you help them raise money for my surgery please.